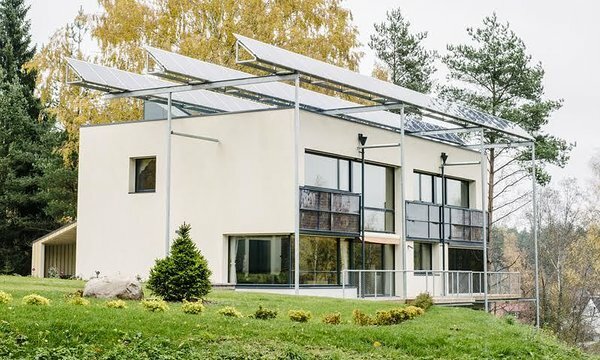 Project: a first certified passive house in Estonia: Metsa 5, Põlva. Insulating outer walls 40 cm layer of compressed cellulose fibre wool. Customer Kuldar Leis: I wanted to to use local natural building materials as much as possible, and therefore Werrowool cellulose fibre suited very well. On the following Sense Ltd. built houses only Werrowool insulation has been used - that says it all.